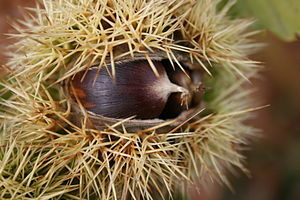 This is an old and prickly chestnut. I’m afraid you’ll just have to study the examples and get it into your brain. To influence or change, for example: Her hard work affected the outcome of the project or The disease affected his appetite. To make someone feel an emotion, for example: Her speech affected him deeply or The speech was very affecting. To pretend, for example: He affected to love her. To imitate or act in a pretentious way, for example: He affected a posh accent. To get something done or to achieve something, for example: He effected a change for the better. The outcome or result, for example: The effect of the speech was to change all our minds. To start to work or produce results, for example: The medicine began to take effect. A figure of speech to mean ‘in fact’ or ‘practically speaking’, for example: The decision will, in effect, be of little consequence. Hi, Jo-Anne — I don’t think you’re wrong at all. Thanks very much. Thank you Deborah. That subject caught my eye because by a strange coincidence I was tussling with the effect/affect dilemma a couple of days ago and I was trying to figure out some way to remember the correct usage. For example, how would I explain it to someone learning English as a second language? As you so aptly put it, there is no real rule – you just have to kind of ‘know’ which one to use. French legislation banning the wearing of the niqab in public could directly affect, rather than effect, fewer than 2,000 people (Beneath the veil, 15 July, page 30). Conversely, listening to someone repeat the same joke over and over again might have a cumulative effect, rather than affect (Bloatergate: the BBC caves in to Eamonn Holmes, 23 July, page 2, G2).